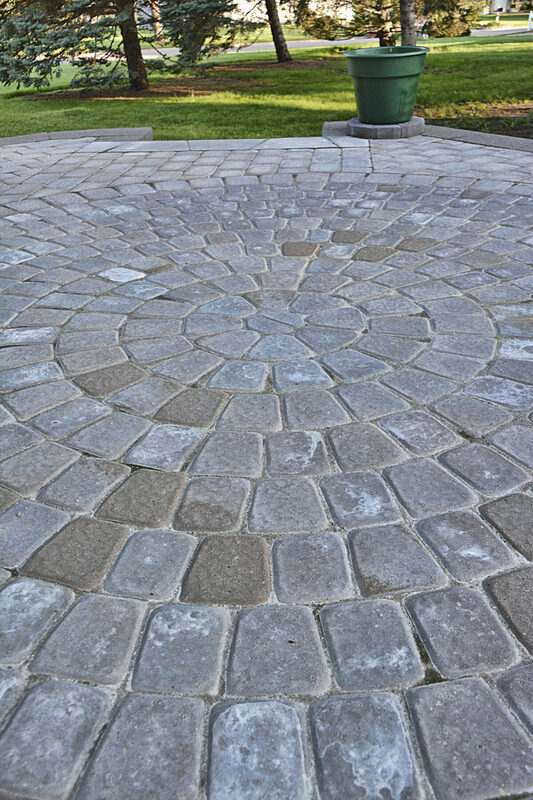 Continuing off last week’s entry, the Atlantic Maintenance Group is here to continue exploring and comparing the different types of available patio pavers in Baltimore. Be sure to check out last week’s entry for the info on concrete, brick, and rubber tile, if you haven’t already. Otherwise read on to find out more about options for your paver patio and how they stack up against each other. Really this entry could just be called “Stone,” since almost any kind of stone can be used as a paver for your Baltimore dream patio, but flagstone, slate and marble are among some of the most popular choices. Other popular choices include limestone, sandstone, and granite. Available in pre-cut shapes, or a rougher uncut look stone has a unique class and elegance all its own. 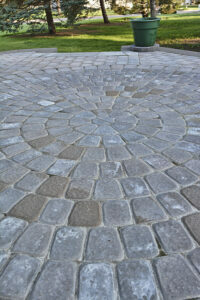 Depending on the stone you choose the installation cost could run anywhere between $12-$28 per square foot. Tip: Stone will always be cheaper if purchased from a local quarry but what’s available there depends on your geography. Made from sand-like grains of granite, decomposed granite has a unique crunchy texture and offers the side-benefit of instantly absorbing any rainfall. Though it is very affordable, costing around $2 per square foot, it will require periodic refreshing due to surface loss, costing roughly $1 per square foot every three years. You’ll also have to purchase furniture accordingly, as the legs will tend to sink into this patio paver. Considering going green with your Baltimore patio? You can reuse old building materials as pavers to help save money and the environment, while building something with an utterly unique aesthetic. Some excellent materials include: old concrete sections from a neighbor’s driveway, materials from an abandoned construction zone (make sure nobody’s using them before taking! ), or old brick/ stone from a demolished building. Tip: Make sure the materials you pick up are of a uniform thickness, otherwise your patio will be uneven. Interested a New Paver Patio in Baltimore? The Atlantic Maintenance Group specializes in the installation and maintenance of paver patios in Baltimore. If you have any more questions about paver patio maintenance, are looking to install a new patio in your backyard, or would like a free quote, call Atlantic Maintenance Group at 410-768-4720 or contact us via our website today. This entry was posted on Monday, October 20th, 2014	at 2:56 pm	and is filed under Blog, Paver Patio	. You can follow any responses to this entry through the RSS 2.0	feed. Both comments and pings are currently closed.